The limestone soil and cooler climate combination mean that it takes longer to ripen the grapes in the Windsbuhl. However, the low vigour and small yield helped by the fact that the vines enjoy a great sun exposure on a steep slope means that we are often surprised by the level of ripeness we can achieve in this wonderful Clos. The Muschelkalk (sea shells) limestone also produces high surface clay, capable to store the minerality of the soil. We tried as much as possible to prevent noble rot, but the natural ripeness of the grapes made it impossible to avoid residual sweetness in 2012. 2/2012: like many 2012s, the nose is tight and shut at first, but long aeration for days or weeks allows the nose to show beautiful fruity aromas of pears, quince and citrus. It is easy here to detect a higher ripeness, despite the pale fresh colour. 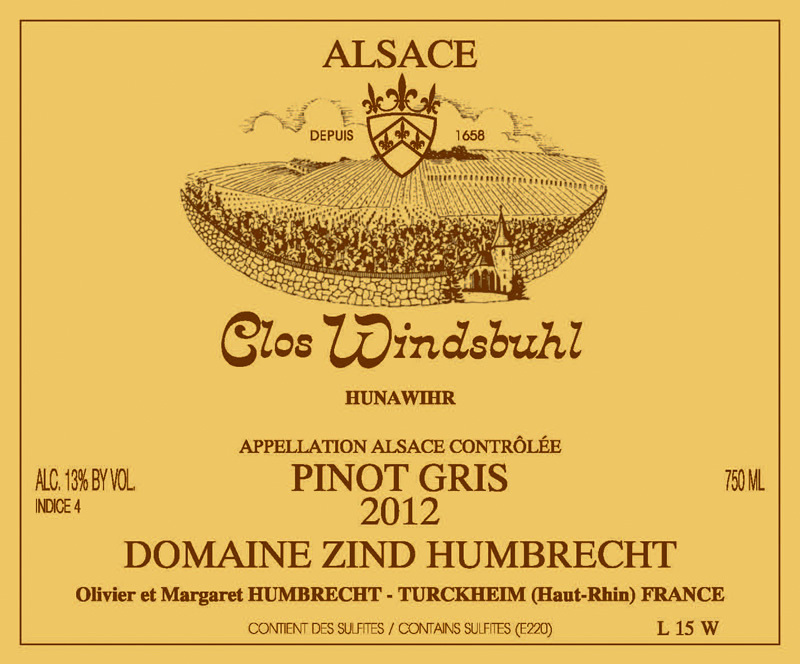 The natural elegance of the Windsbuhl and the vintage is obvious in this wine. The sweetness is delicate, the acidity is fresh and the power is elegant. More than any other Pinot Gris in this vintage, it is the saline acidity that makes the finish so long and will guarantee a long life to this wine.